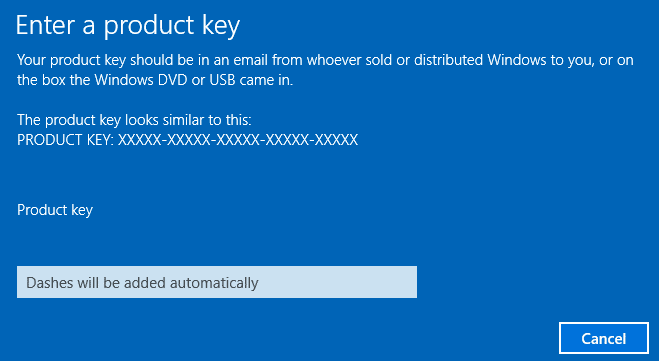 Enter your Windows 10 Professional Product Key. The Cancel button will change and allow you to continue to upgrade your Windows 10 version once you’ve entered in a valid Windows 10 Pro product key. Your computer will restart after installing the new Window 10 Pro features.